So it has been a month now since Seb started wearing his LOC band helmet. I was worried he would be uncomfortable and not want it on but he seems absolutely fine. Sleeps with it and everything. We take it off for an hour in the morning and an hour at night during bath time so both band and baby head can get a good clean as his head and band stink! If you are interested in looking into Cranial Remoulding then please check out LOC's website. The clinic we go to is in Kingston about 5 minutes away from the station. 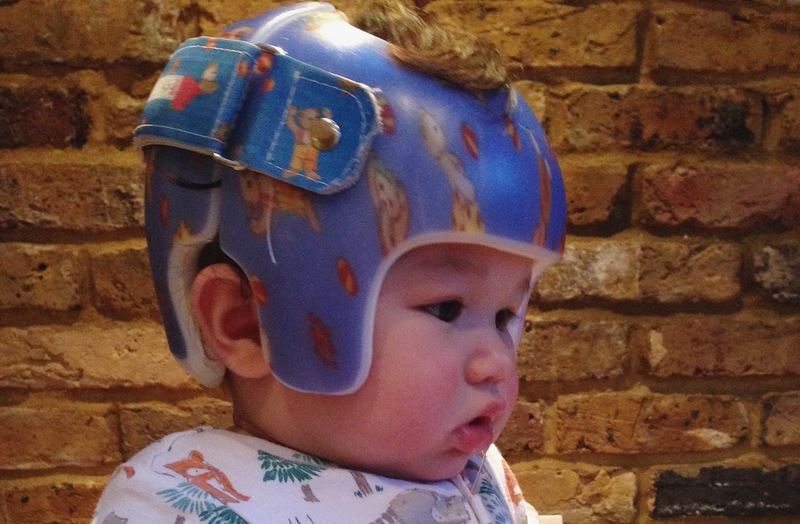 For more information about Plagiocephaly I have listed some links below.